Seventeen refugees have been sent back to Lithuania from other countries of the European Union (EU) after being relocated to Lithuania under the EU program but violating the requirement to settle in the country. Evelina Gudzinskaitė, director of the Lithuanian Migration Department, told BNS that the returned refugees were mainly Syrian nationals who had fled to Germany. Nine of them were sent back to Lithuania due to illegal presence and the remaining eight returned at their own will. "They have no right to legally stay in Germany and they have been granted asylum by Lithuania. As they have the right to live in Lithuania, they were sent back," said Gudzinskaitė. According to the rules, a document of a Schengen country allows individuals to stay in a different country of the community for up to 90 days per six months. After return to Lithuania, the refugees will stay at the Rukla refugee reception center for a month before being moved to municipalities. Some 468 persons have arrived in Lithuania under the EU refugee relocation program for 2015-2017, mainly from Greece and some from Turkey and Italy. Some 343 of the refugees have left Lithuania by now. 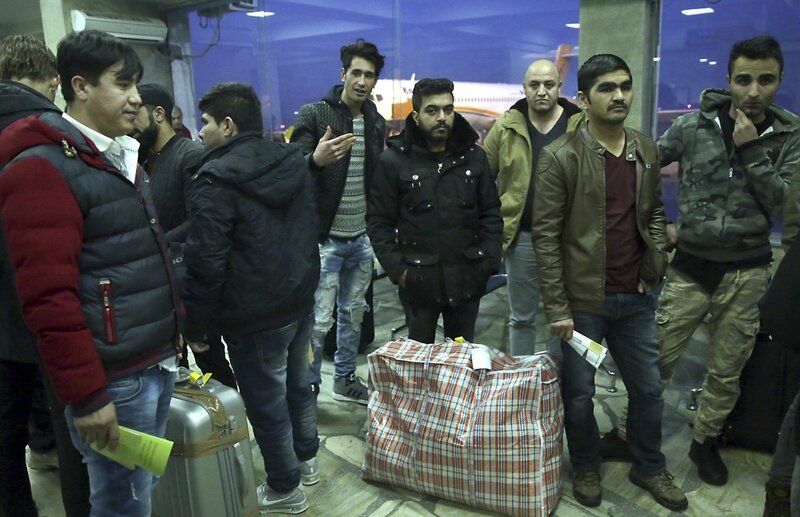 Some 15 Syrian refugees were relocated to Lithuania under the European Union (EU) program last Friday.